What is AirWatch and why do I need it? 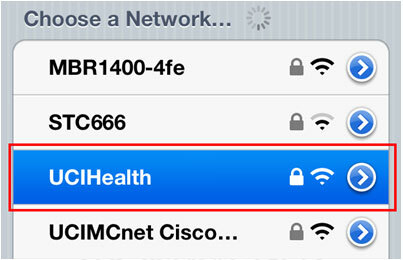 Unable to join the network "UCIHealth"
What Am I Required to Do I Do if My iOS Device is Lost or Stolen? In the past few years the consumer industries have seen an accelerated growth in mobile technologies, primarily driven by Apple and their iPhone, iPod, and iPad. These new mobile devices are more powerful and versatile than ever, and we in the healthcare industry have found it ever more important to align ourselves with these technologies and find ways to leverage them to help improve patient care and business at UC Irvine. 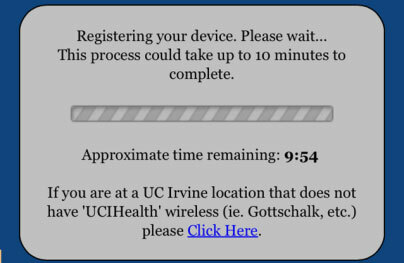 Starting on 4/18/2012 UC Irvine will officially be supporting iOS devices in ways it never has before. 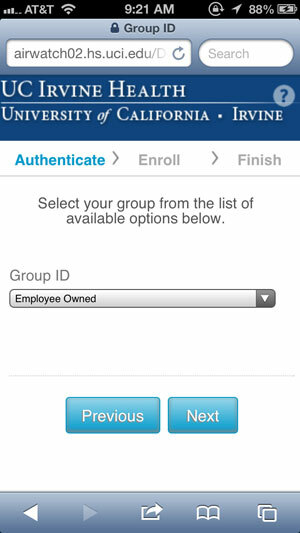 We have written several UC Irvine specific apps, we have a “Mobile Device Management” solution that will allow us to secure and support your iOS devices, and we are actively working with our EMR vendor to get their iOS app production ready for UC Irvine. Please see the sections below for details about each of these exciting new changes. 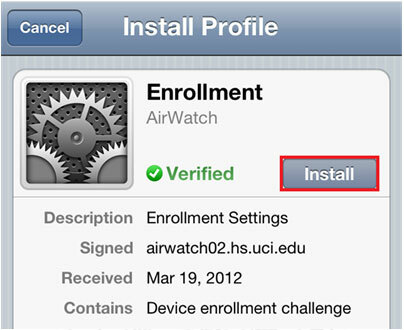 If you are looking to enroll your device now, please start at the AirWatch section. For more information regarding the new standardized auto-lock security settings please Click Here. AirWatch is the Mobile Device Management solution that provides the ability to fully support iOS devices (iPhone, iPad and iPod Touch) in our enterprise environment. 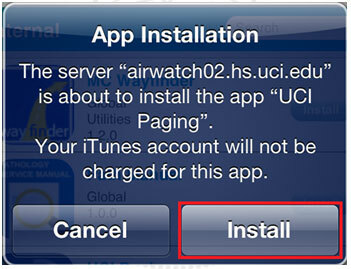 Once enrollment in AirWatch is complete, the device will gain access to internal resources including applications (UCI Paging, Way Finder, etc. ), internal networks and advanced support features. 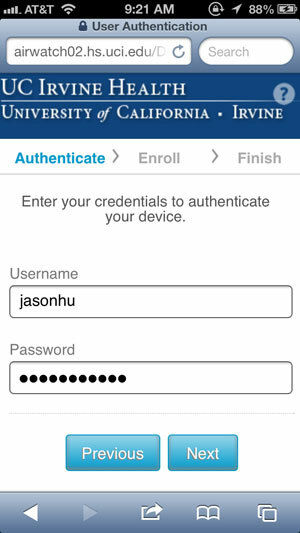 Enrolling a device in AirWatch is a quick and simple process. Your browser will be redirected to a landing page. 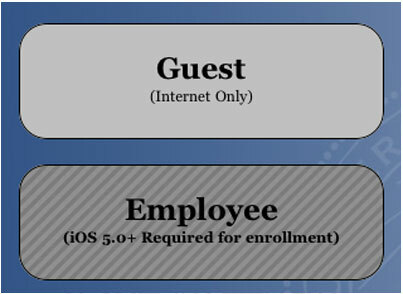 Select the ‘Employee’ option. Alternatively, you may see the following screen if your device does not meet the minimum requirement of iOS 5.0. You will be presented with a ‘Device Type:’ selection. Select the option that best describes your device. 1. Employee Owned – You own both the device AND the account that provides service for the device. 2. 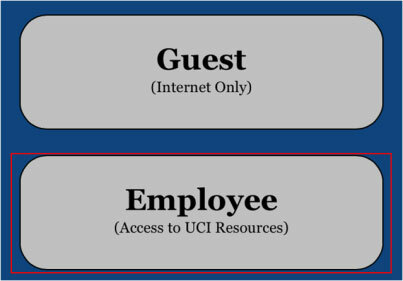 UCI Owned – UCI owns either the device OR the account that provides service for the device. 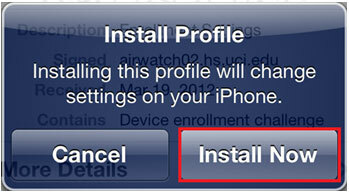 You will be redirected to the profile installation screen. 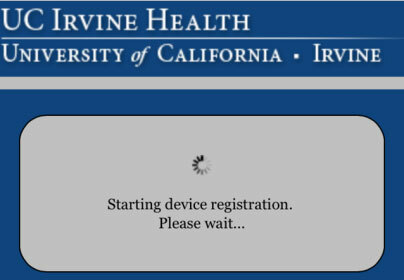 Press ‘Install’ to begin the device enrollment challenge. The final step is to install the Mobile Device Management profile. Do so by pressing ‘Install”. You will be redirected to a new page while your registration is being processed. You may receive a pop-up stating 'Could not activate cellular data network'. This is normal so press 'OK'. Device registration may take up to 10 minutes. The following screen will provide a countdown timer during the registration process. Once your registration is complete you will receive a confirmation pop-up. Press 'OK'. Congratulations! You are now enrolled in AirWatch and have access to great Mobility features such as Internal Applications and Quest Remote Access. Once your iOS device is enrolled in AirWatch, you will gain access to both internally developed applications as well as supported public applications. To download these applications you will need to use the AirWatch App Catalog which was automatically installed during enrollment. Accessing the catalog requires the device to have a working cellular or wireless network connection. 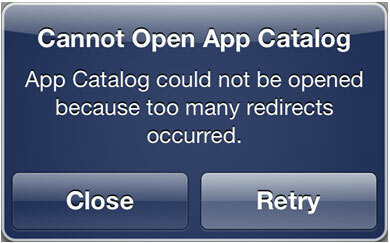 Find and open the ‘App Catalog’ webclip on your device. The catalog will default to the list of available ‘Internal’ applications. 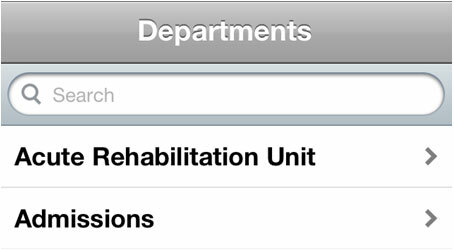 You can also view supported ‘Public’ applications by pressing on at the top of the page. Below you will find information on the available applications. 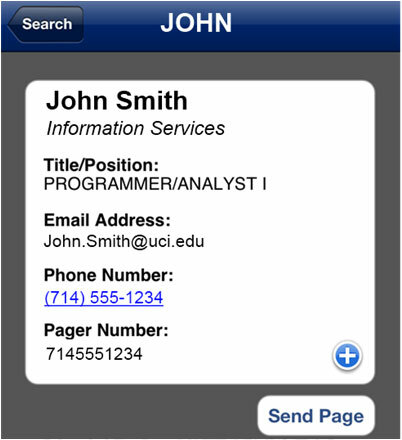 The UCI Paging app can be used to look-up and page UCI Health employees. The application requires you to log in with your UCINetID and password for secure access to the information. 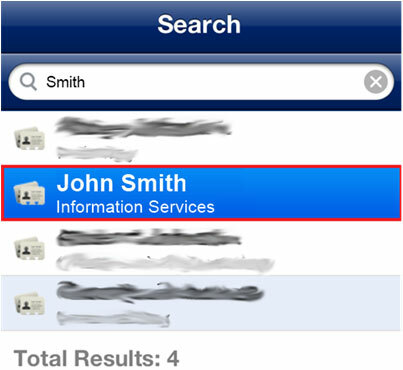 Once your credentials are saved, you are able to lookup an employee by name, phone number, UCINetID, or department. 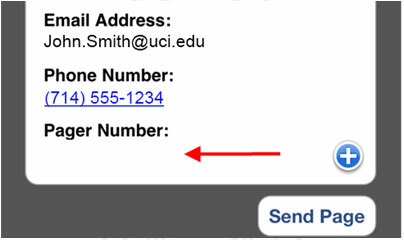 The UCI Paging app has the option to send an alpha-numeric page to another employee as well as adding their provided contact information to your iOS contacts. Before using the application, you need to configure it to use you credentials. 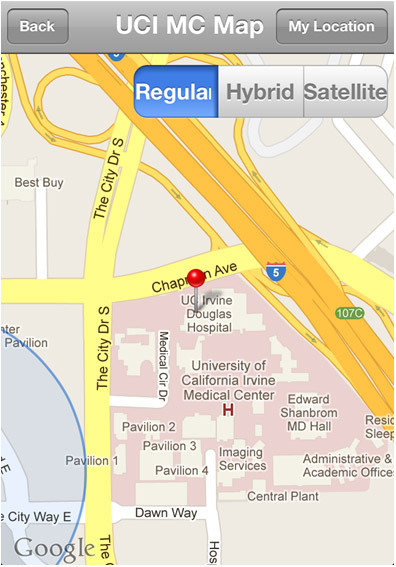 The Way Finder app allows you to view the UC Irvine Medical Center map on your AirWatch enrolled device. 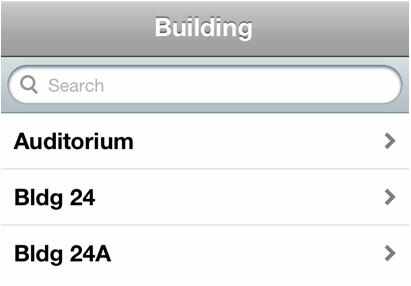 You can find locations by building name or department name. 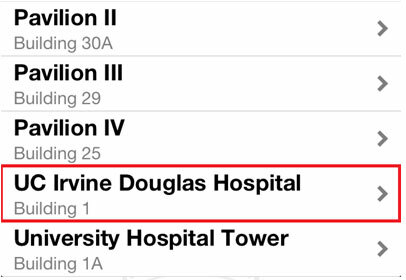 There is a Campus Map that displays a full view of the UC Irvine Medical Center. The app has Google Maps functionality built in to be able to get directions to a desired building. 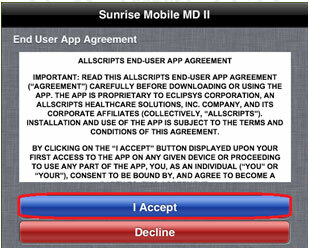 The Sunrise Mobile MD II app allows access to Quest while on an Apple iOS device. 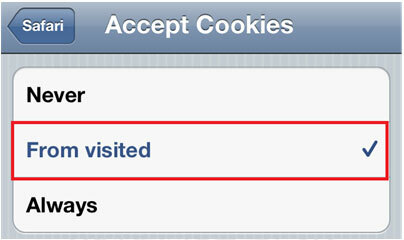 There are two versions of the application: one for iPads and one for iPhones/iPod Touches. When installing the application an Apple ID is required. 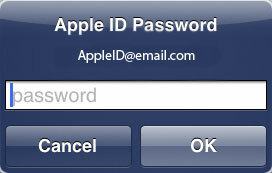 If you do not have an Apple ID, one can be created following the steps on the website https://appleid.apple.com. Before using the application, you need to configure the server information. 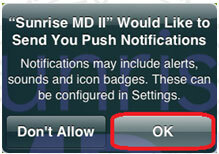 Press OK to send push notifications. It is possible to gain access to Quest via the Citrix Receiver app on an iOS device. Although the recommended and supported method is using the Sunrise Mobile MD II app after Enrolling in AirWatch, you can find alternative instructions HERE. Mobility in UCI Medical Center is comprised of many different technologies working in tandem to provide you with the access to the information you need while maintaining ease-of-use and security. This means that any issues that may occur will need to be addressed by the appropriate group. To make sure this happens, please report any issues to the service desk at (714) 456-3333. With your iOS device Enrolled in AirWatch and Sunrise Mobile MD II installed and configured you will have Quest access from anywhere, provided you have a working cellular or wireless network connection. Below you will find answers to some frequently asked questions regarding anything related to Mobility. AirWatch is the Mobile Device Management solution that provides the ability to fully support iOS devices (iPhone, iPad and iPod Touch) in our enterprise environment. Enrolling in AirWatch provides you with access to Quest, as well as internally developed applications. First, try hitting the ‘Join’ button again. 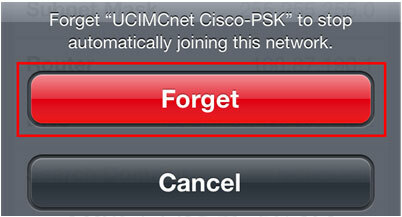 If it doesn’t work the second time it’s possible your device is currently connected to the ‘UCIMCnet Cisco-PSK’ network. 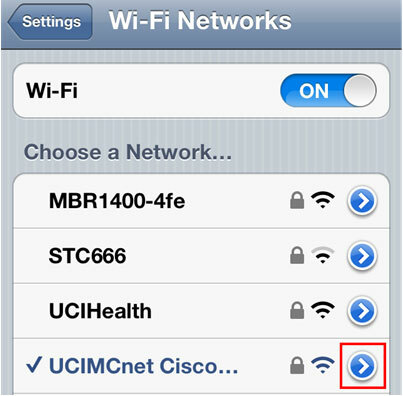 You will need to remove this network from your device to properly connect to ‘UCIHealth’. 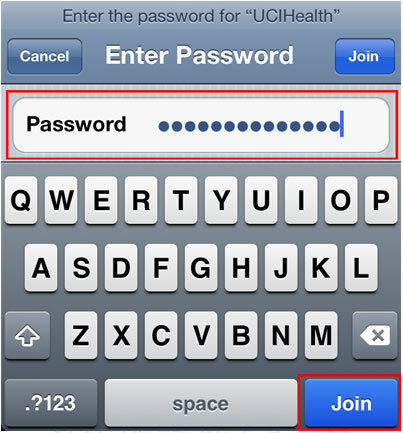 Try to join ‘UCIHealth’ again. See Enrollment for instructions. If your device is lost or stolen you are REQUIRED to contact the service desk at 714-456-3333 immediately in order to have the device wiped. Press the home button to return to the home screen, and then try opening the ‘App Catalog’ again. 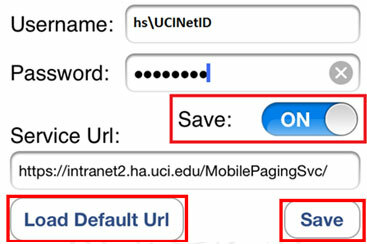 The department information will be displayed; to view the location, press "View on Map"
If you are unable to find any results when searching for people in the UCI Paging app, it might not be configured. Follow the Configuration instructions for the application and then try again. When searching for a contact in the UCI Paging app, it may take longer while on 3g than it does on a wireless network (or 4g). This may cause the application to look like it is not doing anything. 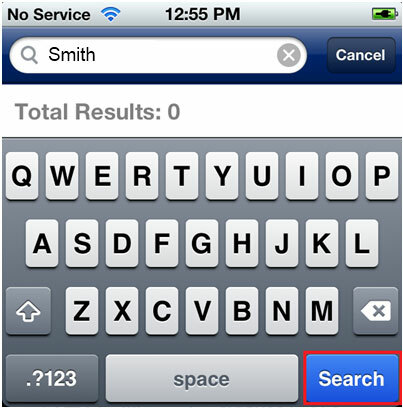 If the application is still trying to fetch search results and you press the ‘Search’ button again, it may return duplicate results (once for every time you pressed the button). To avoid this issue only press the button once and wait for the results. 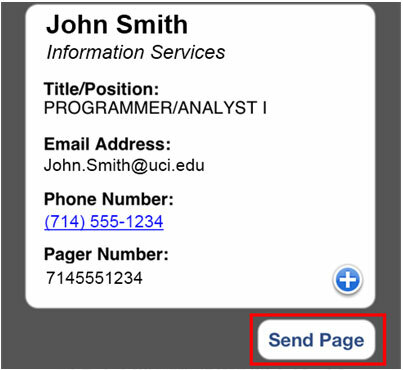 If a user does not have a pager number listed you will not be able to send them a page. 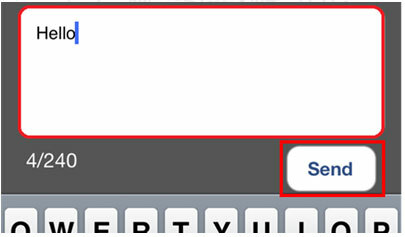 You will still see an input box, but it will say ‘0/0’ in the lower-left corner and no text will appear. 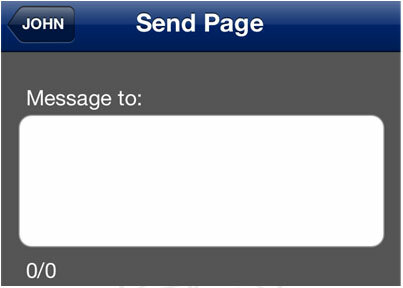 You will only be able to send a page to someone who has a pager number listed in the phonebook. Please contact the UCI Health Information Services service desk at 714-456-3333 with any questions or problems related to Mobility.